Disaster Recovery may not normally something that is front of mind for you, but with the current floods that are currently being expereinced by the UK, it is something we recommend our customers seriously consider. Can you afford to not have acces to your data? How well would your company function if you couldn’t access your offices or computer data? Do you have a recovery plan? Last years floods cost UK businesses on average £20,000 – £30,000 in repair costs. But what about things you cannot repair or replace such as company data? How would you replace your company’s customer database? What about your outstanding invoice list? Can you put a price on this? What you can do is ensure that the data is backed up offsite somewhere safe and secure and that you are able to continue trading. We can provide you with disaster recovery services. Disasters can take several different forms. These can be be a minor issue such as a server’s hard drive failure. Other larger disasters will have more of an impact. These disasters can include power loss or failure, storms, floods, fires, equipment failure, sabotage, terrorism, or even epidemic illness. Each of these disasters can at the very least cause short-term business disruptions in normal operation. The recovery time objective from the impact of any of these disasters can take your organisation much longer, especially if you have not made preparations in advance. The old adage if you fail to plan, you plan to fail is never more so here. Scheduled Offsite Backup of Server data – business processes, Microsoft Office Documents, PST files, SQL databases, installer applications and license keys as well as any customer and supplier contact details. Disaster Planning Test – You need to test any system you put in place. If your disaster recovery plan doesn’t work, you might not be able to either! Every company no matter how big or small needs to assess their company’s risk when it comes to disaster planning. A simple test of this would be to imagine this has happened to your firm and your office is no longer accessible. How would you operate today? How about for the rest of the week? What about for a month or two? What about if you lost all your workstations or servers? What would you access your data on? How secure are your backups? Are you encrypting these? How easy is it for you to decrypt these without software? How easy would it be for someone else to access the files if they managed to gain access to the backups? You should never just rely on keeping one off-site backup. We recommend that you keep at least three copies of your data in different locations. For instance; One in the cloud, one offsite at a staff member’s house and one in the company fire safe. You should also know the whereabouts of this data at all times. We can help your business decide what information to keep in the cloud, and train your staff on how to retrieve this. We can also help you run disaster recovery drills to ensure you know how to access this information should you need access to it in an emergency situation. We never recommend using USB sticks or flash drives. These are too easy to misplace and they are not a permanent storage method. GiraffeDog.net can help your businesses with it’s computer system disaster planning, ensuring you have continuous availability should the need arise. We can help train staff, and put in place a suitable disaster recovery strategy, ensuring that if the worst happens, you’re prepared. Many companies have key machines that if unavailable would cause a few headaches while you awaited the replacement of hardware or re-installation. We can help minimise this reliance by utilising virtualisation on your local machines and if need be host a hot spare in the cloud as part of your disaster recovery strategy. 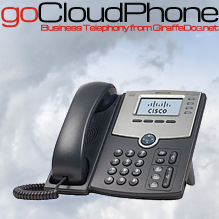 What About your Company Phone Lines? Another huge issue to consider is how will your customers contact you? We can help install a VoIP system that allows remote configuration and routing to a new command center should you be unable to access your offices. All you will need is a fast connection which you could account for in your recovery plan. What about the availability of your key hardware during a power loss? Investing in a suitable uninterruptible power supply (UPS) will ensure you can keep working if or when the power fails. We can also help with system monitoring, ensuring you are aware of your hard drive’s current availability status. The key issue here is how quick you get back up and running using your disaster recovery plan. How low is your businesses recovery time objective? Why not contact us about a suitable recovery plan for your business. 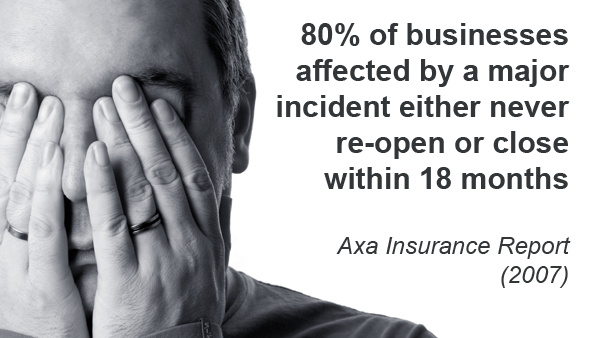 Our disaster recovery services could help your business today.